Fraud remains a major threat to businesses around the country. According to a 2011 survey by CyberSource, online merchants in North America lost $2.7 billion in 2010 to fraudulent e-commerce transactions. Responding to these instances can be costly for businesses, but it's worth their effort to seek preventative measures that may help stop deceitful purchases before they occur. Online credit card processing services may provide fraud prevention tools and strategies, and businesses shopping for a payment gateway may want to partner with those that provide a few key features. The best card-not-present payment services can offer a number of ways to detect and single out duplicitous buyers. • Payer authentication – This measure seeks to identify customers through their credit card issuer and helps to limit situations when customers deny having authorized a payment. • IP geolocation – This technology can analyze customers' Internet Protocol (IP) addresses to verify their specific geographic location. 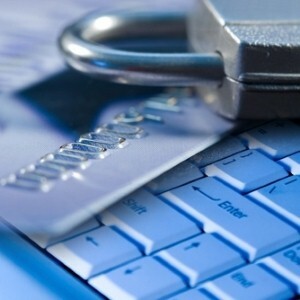 Top payment processors can then use that data to estimate the likelihood that a particular purchase is illegitimate. An instance of fraud may be detected if a purchase is being made a significant physical distance from the cardholder's billing address, or if a great number of credit card purchases are being made from a single geographic location. • Proxy detection – Some fraudsters may look to circumvent geolocation tools through IP proxies, which disguise a user's IP address. While proxies are not inherently indicative of fraud – plenty of common internet platforms are used for legitimate reasons – some scammers do use them to attempt illicit online transactions. Merchants looking for a Paypal alternative are advised to find a service with sophisticated tools that can accurately identify when proxies are being used for illegitimate purposes. Top vendors should be able to provide success rates regarding proxy-busting tools.